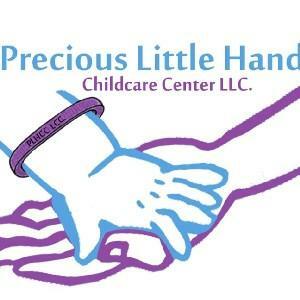 Precious Little Hands Childcare Center, LLC (PLHCC) is a Christian based childcare facility with a mission to provide families with a second home, a piece of mind, in a comfortable and secure environment with high quality services. Services that promote learning, growth and developement for all; while, focusing on each child as individual. PLHCC promotes, encourages, and builds on each child's educational growth, development, and social skills. PLHCC is a full service childcare center providing services to children starting at age 6 weeks to 12 years, and before and after school care. PLHCC will be a facility focused on academic and social development as well as environmental issues impacting communities and families. PLHCC hopes to establish a concrete relationship with children, families and the community at large. This will be achieved through a combination of competitive pricing, excellent curricula, meals, unparalleled customer service and excellent qualified staff members. Each classroom will have a daily schedule posted that must be followed to maintain order, structure and consistency for children. Schedules can be adjusted from time to time if the children are interested in a different activity or project. With the exception of the infant room, each classroom will have a block, math, art, writing, science, dramatic play, circle time, and cozy centers. These centers will be very engaging and materials will be rotated on a monthly basis to keep creativity alive in the mind of the child. @2019 CakeChildcare.com. All right reserved.